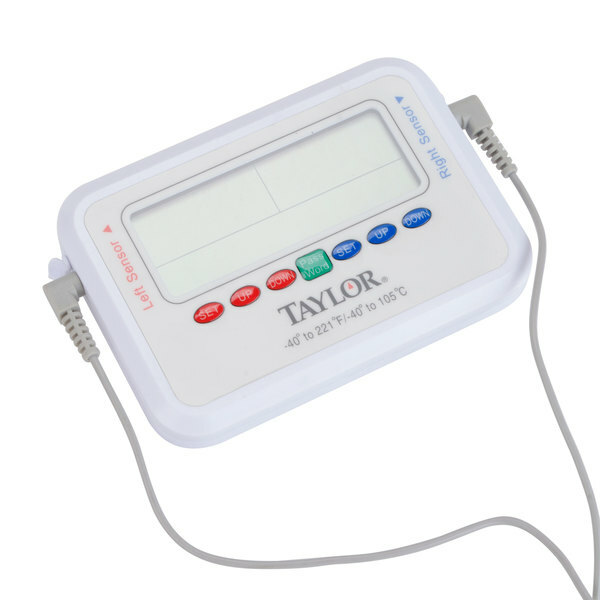 Monitor and record temperature fluctuations with the Taylor 1442 critical care digital thermometer. A malfunctioning refrigeration unit can cause some of the biggest profit losses to any food service operation. 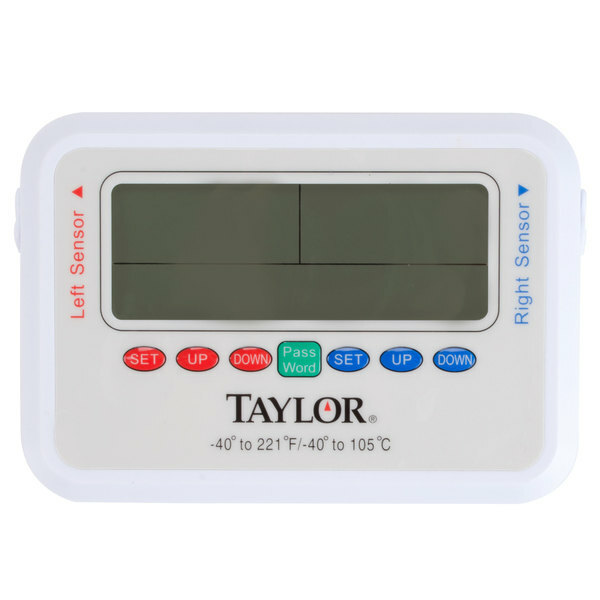 The Taylor 1442 critical care digital thermometer monitors and records temperature fluctuations to get your refrigeration system operating at its full potential in no time so you can be sure food is stored at proper temperatures to reduce waste. "These are great for fridges and freezers. They are especially nice that you can have 2 fridge or freezers on the same one! 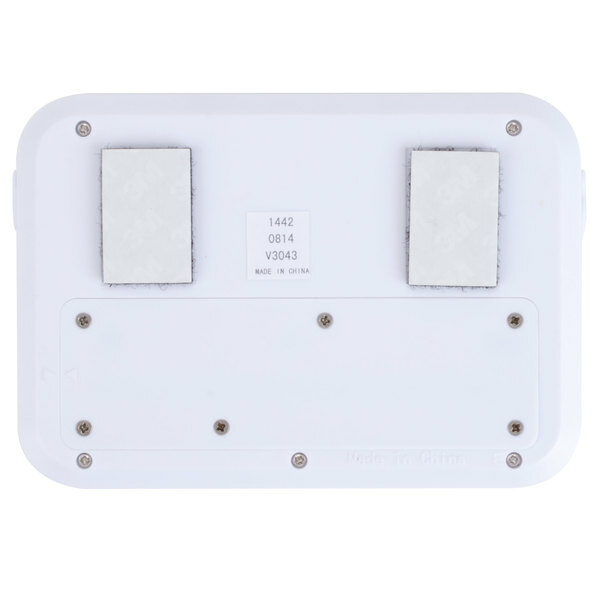 Can set temps on each side so if it is warmer or colder then desired an alarm will go off to let you know." 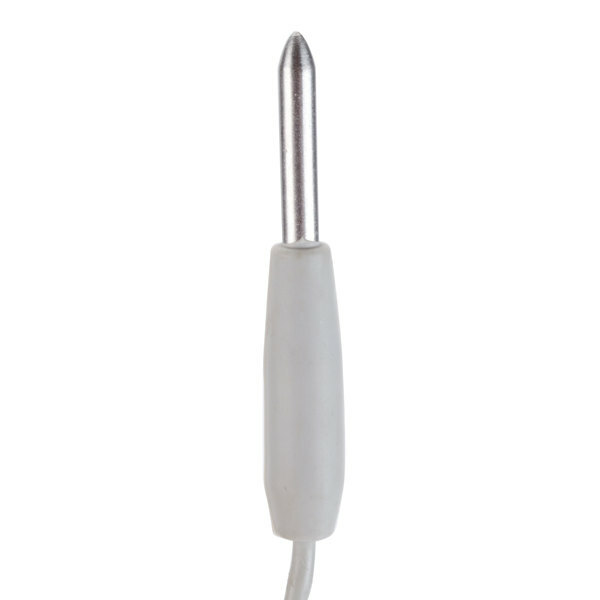 This thermometer features (2) 6' glycol-tolerant probes whose temperature ranges can be set independently. One probe can be used for a refrigerator while the other can be used in a freezer. The alarm system allows you to set high and low temperature limits and alerts the operator if temperatures deviate from the settings. For improved security, this thermometer also includes a password feature. A history of breeches, including time and duration, is recorded in a 96 hour memory bank. 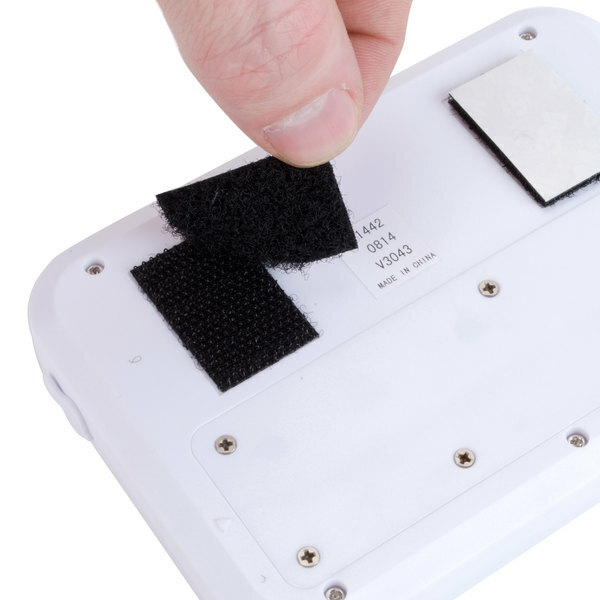 The thermometer will store a total of 120 alarm records, or 60 alarm records per probe. 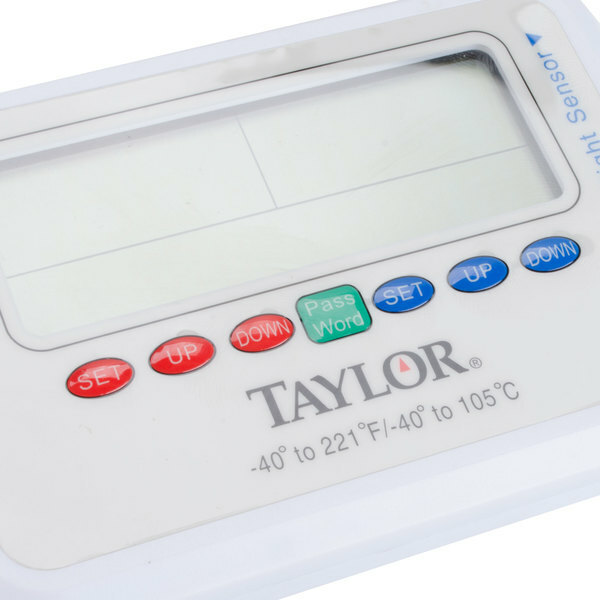 The Taylor 1442 critical care digital thermometer has a temperature range of - 40 to 392 degrees Fahrenheit and an accuracy +/- 2 degrees F from -4 to 212 degrees F and +/-4 degrees F for other ranges. 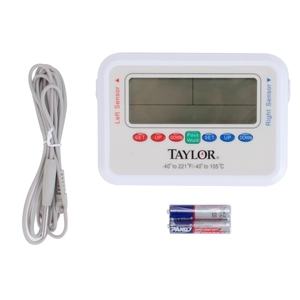 This model runs on two AAA batteries that are included so you can start using the thermometer right away. This thermometer comes with hook and loop pads on the back so you can mount it in a convenient, highly visible location. Not a great thermometer... The instructions are complicated, so checking the temp history and setting the alarm is not at all straightforward. the interface and display are just weird. Once I got it all set up, one of the probes didn't really seem to work- it ran between 20-30 degrees off at random. the other probe was at least a consistent 10 degrees hot. i tested this against several other thermometers, so i'm confident the numbers are off. 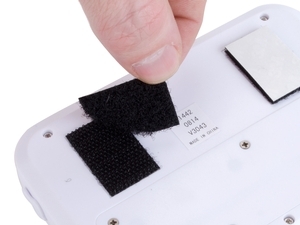 the rubber coating around the probes is also very easy to crack and peel off, leaving the bare wires exposed. maybe i just got a bad one, but i cant think of a single reason to recommend this product. Thank you for your review, Patrick! 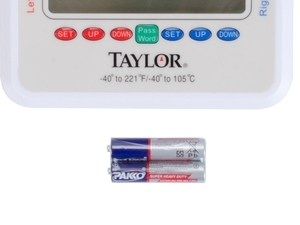 We are sorry this Taylor 1442 Critical Care Digital Thermometer with Dual Probes has not worked well for you. A Customer Solutions Representative will contact you soon! Although the size is nice, I found that the temperatures were off by about 5 degrees. I am pretty sure that it will be fine after calibrating. 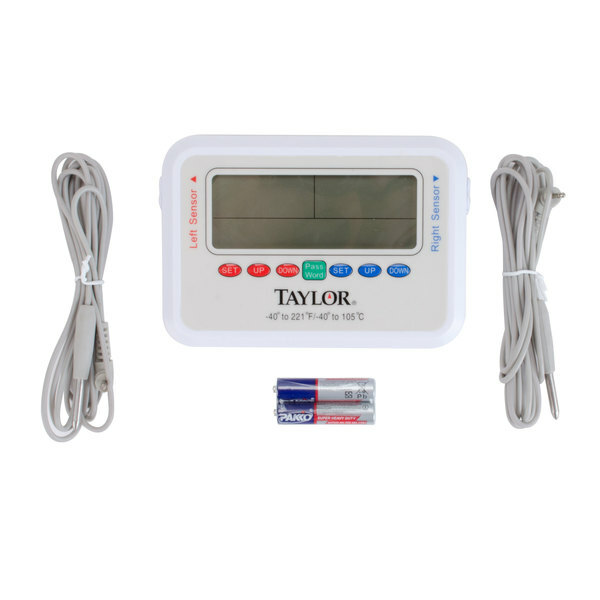 The Taylor Critical Care Digital Thermometer with Dual Probes is a great way to monitor temperatures in your fridge and freezer. It is easy to use and well made. These are great for fridges and freezers. They are especially nice that you can have 2 fridge or freezers on the same one! Can set temps on each side so if it is warmer or colder then desired an alarm will go off to let you know. Hard to use. It's instructions don't make a whole lot of sense and it's functions are not clear and accuracy is bad. Not the best product. Thanks for letting us know! A Customer Solutions Representative will be contacting you to answer the questions that you have about the thermometer. Great duel thermometer to have in the kitchen. I am able to monitor the temperature of two items in the oven at the same time!